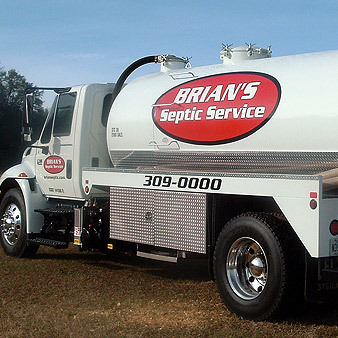 Brian's Septic Service is exceedingly highly extremely dependable. Our goal is to ensure the complete satisfaction of every customer we contact, while offering knowledgeable and friendly service at competitive rates. We appreciate your consideration. We hope that you'll feel confident in our ability to meet all of your expectations and know that you are always our number one priority. Regular pumping helps prevent solids from escaping into and clogging the drainfield. An alternative repair method is a way to repair a failing system without drainfield addition or replacement. 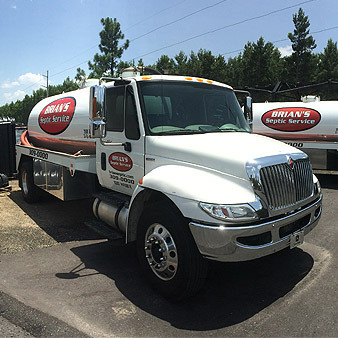 We use the latest state of the art equipment and systems that guarantee a proper set up and installation of your septic tank. Grease trap maintenance performed on a routine schedule keeps drains flowing smoothly and your business running. Pressure on sewage treatment systems is reduced by the use of a greywater system. Aerobic systems use an aerobic process for digestion rather than just the anaerobic process used in septic systems. We provide assistance in obtaining the required permits for septic tank systems and disposal systems. We provide both residential and commercial maintenance recommendations for your septic system based on a thorough inspection. FHA loans require a property to meet certain requirements before a loan will be approved. 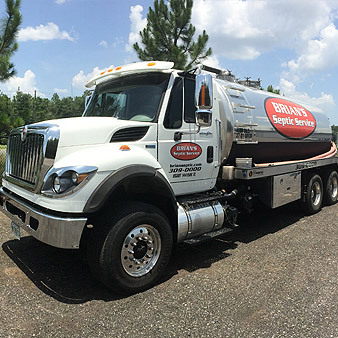 Our services include septic pump repairs and replacement, tank or drainfield replacements, and full system repair and installations. Traditional septic systems only work if the soil in the leach area is sufficiently permeable that it can absorb the liquid effluent flowing into it. A Site Evaluation (DH4015) is needed to determine the conditions on your property and must be performed by a qualified professional. Brian was prompt and curtious. He was very good at explaining my problem, and had a very resonable price. I would recommend him to all friends and family. Quick turn around time from the day I called to schedule my appointment. Great quality work and excellent customer service! Would definitely recommend to friends and family! Prompt. Very professional. Great Service.